If you are the owner, property manager, or security officer for your company or business, you know that security is indispensable. With the numerous threats and the infinite ways that someone could commit a crime, it’s hard to account for all the possibilities, contingencies, and risks. You take pride in doing this difficult job, keeping people safe, and managing all of the different aspects of your security policy. However, there’s one risk that’s easily overlooked, and one aspect of your security system that will address this risk that is also frequently overlooked. The risk we’re talking about is when your customers or clients put your employees in danger. While it’s probably accurate that any type of business faces this risk at some point or another, but there are certain cases where this risk becomes much greater. For instance, workers in an office building who merely talk to their clients on the phone are probably infrequently exposed to this risk, while nurses who attend patients in a psychiatric facility may be more prone to this risk. In particular, if you operate a hotel, health care facility, educational institution, or correctional facility, your day-to-day operations involve some of the highest amounts of this particular risk. A guest in the hotel grabs the housekeeper and rapes her. A patient in the bed abuses a nurse and prevents her from getting away or calling for help. A school shooting incident develops in a classroom and the teacher cannot summon help any other way. The inmates at a correctional facility gang up on a guard. There are also other businesses and industries that experience this risk, and for any type of facility where the employees may be in danger in the course of doing their jobs, the security team should take this frequently-overlooked solution under consideration. The way to mitigate this risk is to install a mobile panic button system on your premises. This is a solution where you give each person a pendant or bracelet that they carry with them as they do their jobs. If there is ever an emergency or they are in danger, the employee will press the panic button to summon help. This wireless signal will pass to the main control unit, where your security team can respond appropriately. 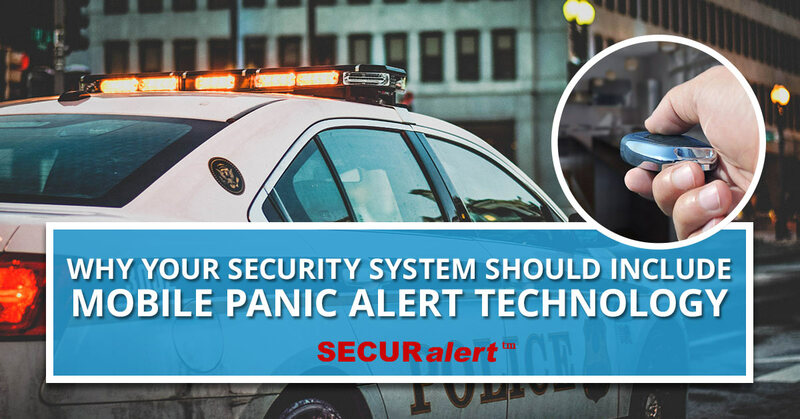 The best panic button solutions are the ones that provide the location of the victim with pinpoint accuracy, and that’s exactly what the Securalert system offers. Panic button technology is not for every business. However, you should consider the following questions in order to answer the question why you should incorporate it on your premises. How much risk is there that my employees will experience harm at the hands of my clients? How severe could the harm to the employee be in a worst-case scenario? What other damage would that kind of situation cause (bad publicity, lawsuits, other damages)? What good can come to me if I address these risks proactively (protection from potential harm, employee peace of mind, better retention)? Evaluating these questions will put you on the right track to determining whether it is a high or a low priority for you to implement a duress system for emergencies. Too often, companies overlook this risk and fail to ask themselves these questions until after an incident has occurred. However, the fact that almost everyone does become proactive about installing panic buttons in their facility after only one incident shows the facts: these companies find it much cheaper to install panic buttons than to undergo another similar incident. Don’t wait until after an incident. Evaluate your risk and contact Securalert today.